This is a little rambling, as I wrote it over a number of days, in a number of moods, and sat down- determined to finish it- with a sleep deprived, foggy brain. He said that my daughter was defective. The conversation started innocuously enough. It was about the future of the economy. He has a very bleak outlook and thinks that within the next two years everything is going to fall apart. He is preparing for total self-sufficiency. This is fair- he is older and lived through the Depression. He is frightened. I agree that things are going to get worse before they get better. But I see the heroic in people, the rise above attitudes which my children have. I believe things won’t get quite as bleak as he thinks they will. He stated that I had never gone through anything cataclysmic in my life which was why I didn’t fear the impending doom that he saw. I just didn’t know what to fear because I had never had a situation where fear overtook me. I carried a child for 34 weeks, knowing for most of my pregnancy she was most likely not going to survive. I would essentially birth death. After birth, my daughter turned blue and stopped breathing in my arms. I felt her heartbeat stop. I saw life leave her body. My response, through a slash of a mouth, is that she was not defective. She was born the way she was meant to be born. I want to end this part of the post here- even though between us there began a heated exchange which ended in both parties drawing their claws back in. I want to write about the nature of defective people. I want to stop and say all of the things which I would have said if I had the quick intelligence that I would like to have had. My slow wit is a defect I own. I want to write about what’s practical and what’s reality and what becomes a tragedy when we begin looking at anyone and calling them defective. I want to write about la-la land, and the people who live in a world where people are products. This is another type of love letter to my daughter. My perfectly formed, made for her purpose child. The girl who will never come home in my arms but who lives in my spirit just as well as she would if she were flesh and blood walking through my living room. My daughter was not defective. And I don’t just mean that in a sentimental, feeling the pain, type of way. She was created the way which she was meant to be created. People are not made on assembly lines- there is no manual with a list of parts. We don’t (well, we shouldn’t) throw out the ones who don’t quite fit in with what we think of as “normal”. I suffer from dyscalculia- which is the same disorder as dyslexia, except that it involves math instead of reading and writing. I have three different congenital heart defects. I give birth to babies that die. This is just a short list of my imperfections. The most glaring of my physical shortcomings. Life is not easy when you can’t balance a checkbook because you see the numbers and signs swim before you and negative and positive mean the same thing to you- I have always teetered on the edge of insolvency because anything more than simple arithmetic is beyond me. When you fear that one day, your asymptomatic heart issues may become symptomatic- and women with the particular heart issue which you have, can have heart attacks in their thirties. Life is not easy when your body does not cooperate with you and instead of a squalling, red infant the one you deliver is limp and purple and soundless. When your baby must be hooked up to tubes and wires to breathe. Difficulty has not made me defective. Difference does not make me defective. It goes so much deeper than whether differences make us better or stronger people, or whether our worth is based on what we offer to the world or what we have inherited at birth. Each one of us will die. Our inborn, sinful natures manifest physically as well as on a spiritual level. We are all defective, in terms of perfection. Each of our shortcomings will hasten our trip to the end. 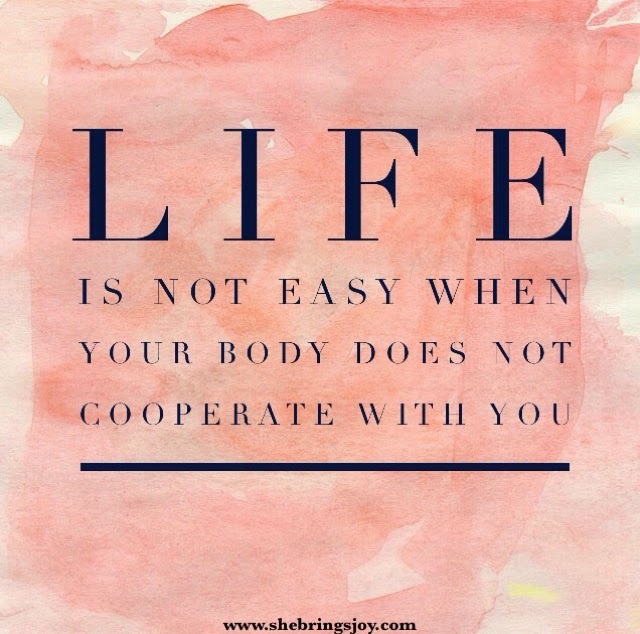 We all have physical problems that break down over time to become impediments. Then they break down even farther to become causes of death. In our temporal world, death is natural- imperfection is natural. Defective is natural. My daughter was naturally made- created for a purpose that was fulfilled in a short two hour time-span. She was a human being. The judgment on her life comes from people who see human beings as coming in a model. The ironic thing is that these people seem to think that they are the forward thinking group- that within their prejudice resides some intelligence that I just don’t see. My daughter died because her lungs were too immature to absorb oxygen. She died because she was created for a purpose that lasted 34 weeks, 1 hour and forty seven minutes. The problem is that when people think of her, they are measuring the scope of life’s worth in time- something we have no control over. She could have been born “defect-less”, and died of SIDS a month after she was born. She could have been born “defect-less” and died in an accident, or from cancer, or from a host of other causes- years after she was born. My daughter was not, is not, a product. Her worth is inherent. Her life wasn’t about me or you. Her life wasn’t lived to fulfill some need in our family. Her worth is not dependent on what she gave to the world, what “job” she did, or what she produced- it is not based on what she left behind for public consumption. Her worth is based on her just being. Her worth is based on the fact that she existed. When we begin grading the value of people’s lives based on what they produce or what they give to us, we devalue our own lives. Who among us wouldn’t come up short in that tally? And who decides which traits are valuable? Who decides which traits are “defective”? Contemplate the concept of “defective human”. It leaves a bad taste in my mouth, even without the experience of having given birth to one of those tender beings that are usually deemed defective. When I look at all of the different types of people around me, I marvel at the artistry of a God who easily eclipses even the most prolific artist. The innumerable combinations that make each one if us a unique creature. Who is to say what constitutes normal? I know that you’re thinking- but Sarah, her internal organs were on the outside of her body. That is definitively not normal. But for this mom and this one, and many hundreds of of other moms, organs outside of the body ARE normal. We live in a society where we are taught to love one another for our differences. Celebrate individuality. But only when those differences fit in with our preconceived notion of what is acceptable to us. Only if those differences don’t lead us toward a place where we have to deal with the hard truths of life. Only if those differences aren’t an inconvenience or a reminder of our own frailty. Only when those differences don’t lead to death. But every difference, eventually, will lead to death. We are all an accumulation of rusty parts that begin deteriorating when we draw our first breath. We begin to die the second we are born. For some of us, life is over in the twinkling of an eye- but no matter how short that life is, those tiniest ones are still ONE OF US. They are no less human because something went so drastically different in their formation. These human begins are so much more than our children. They are our brothers and sisters. They are valuable citizens of an earth breathtakingly beautiful and randomly cruel. 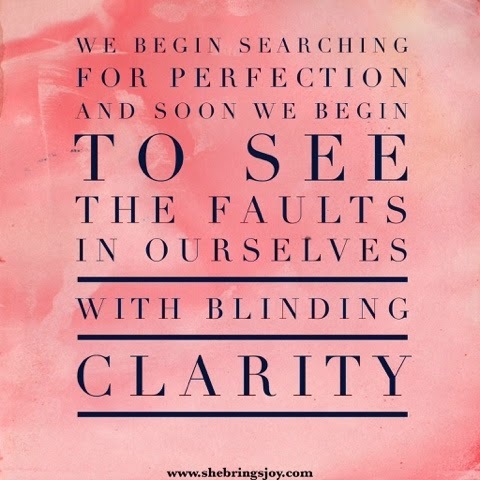 We begin searching for perfection and soon we begin to see the faults in ourselves with blinding clarity. We fall out of love with people and become attuned to cynicism and despair- because when we hold ourselves up against the yardstick of perfect, we fall so short. 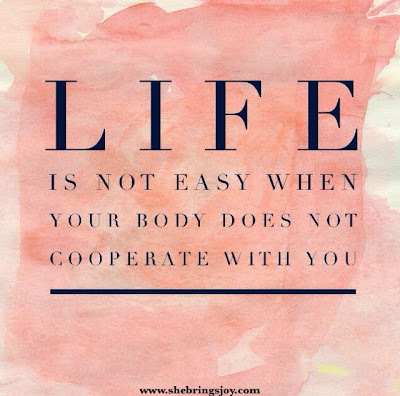 We begin to lose sight of the parts of us that make us fully alive- the parts of us that work best when we put practical use to our inborn empathy. 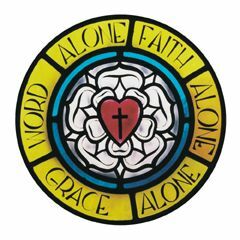 The part of us that finds peace in charity and contentment in doing for other people. The part of us that recognizes our own shortcomings and lives with acceptance that not everything will be perfect and not everyone is born perfect- that life will never be perfect, and that it’s ok. I think about my small daughter and I think about people who think that she was defective. 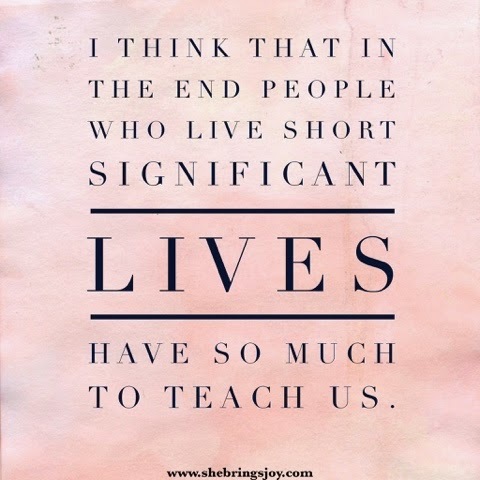 I think that in the end people who live short significant lives have so much to teach us. And I would so rather learn about life from someone like her than from someone who could one day see me as something less than human because I did not measure up to their idea of what things were “supposed” to be like.